The electric bike can be used by residents and tourists visiting Gdańsk, Gdynia, Sopot, Tczew, Puck, Reda, Kartuzy, Sierakowice, Somonino, Stężyca, Władysławowo, Żukowo, Pruszcz Gdański and Rumia. The bikes can be collected from any of 660 bicycle stations spread across 6 cities and municipalities in the Metropolitan Area. Renting and returning bicycles to any of these stations is at no extra charge. Bicycles can also be returned outside the designated parking stations; for an additional fee of PLN 3, bicycles can be returned anywhere within the area of use (the boundaries of individual cities), as long as they are left in a public place and do not hinder other users of public space. 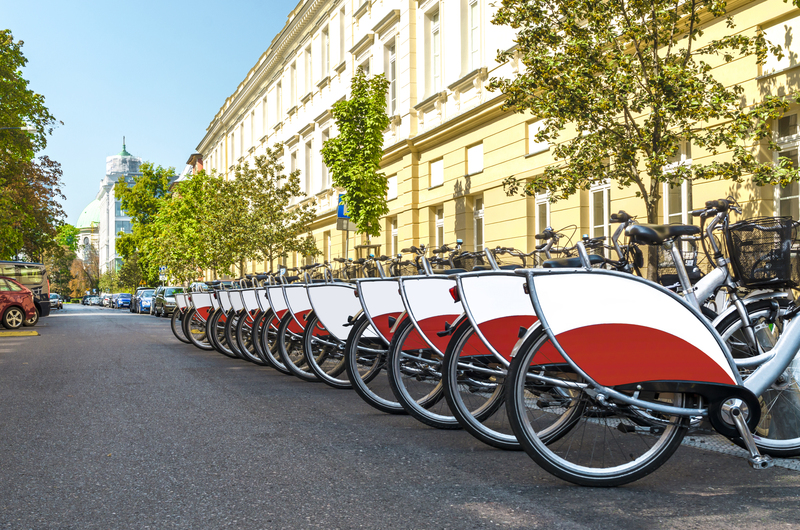 Cyclists that rent a bicycle from any location outside the 660 stations and who return it back to one of the stations, earn a bonus in the form of a 2 Zlotys (0.47 euro) top-up. Rental fee without subscription is 0.10 Zloty per minute. Monthly subscription and annual subscriptions are also available at respectively 10 Zlotys (per month) and 100 Zlotys (per year). Subscribers are able to use a bicycle for 90 minutes per day and pay a fee of 0.05 Zloty per minute once the 90 minutes have been exceeded. MEVO is one of the first bicycle systems in Poland available all year round. Starting with 1,224 bicycles, it is planned that the number of bicycles in the Gdańsk - Gdynia - Sopot Metropolitan Area will ultimately be increased to 4,080. During the winter season, part of the fleet will be kept in storage, as demand will be lower. The project is co-financed by the European Regional Development Fund under the Regional Operational Program of the Pomeranian Voivodeship for the years 2014-2020. Source picture: © Shutterstock: 476629108 Yuliya_P no permission to re-use image(s) without a separate license from Shutterstock.